Here comes one more a Smartphone from Micromax mobiles with great features and specs and at unbelievable price. The name of the device is ‘Micromax Canvas HD or Micromax A116’. It is a successor of latest and popular canvas 2 series phone. As most of the features are similar to the Canvas 2 as it has as a huge 5 inch display but new canvas HD support HD screen with IPS display which should offers great video picture quality. It has an powerful 1.2 GHz Quad Core processor from Mediatek. 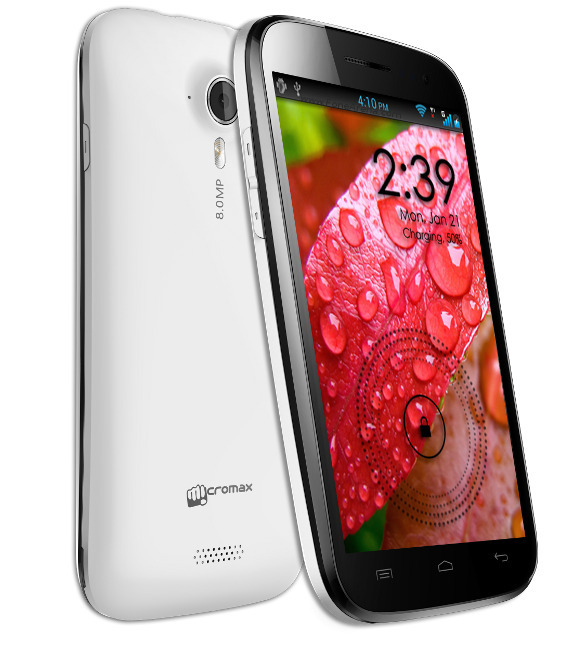 Micromax has launched its first Smartphone in quadcore processor range. It has battery capacity of 2100 mAh which should be enough to run the phone for longer duration of time. It comes with preloaded Android Jelly Bean out of the box which is great feature. In camera it also supports 8 megapixel rear camera as Canvas 2(Micromax 110) and front VGA camera for making video calls. This device also supports a RAM of 1 GB which is good for playing High graphics games.